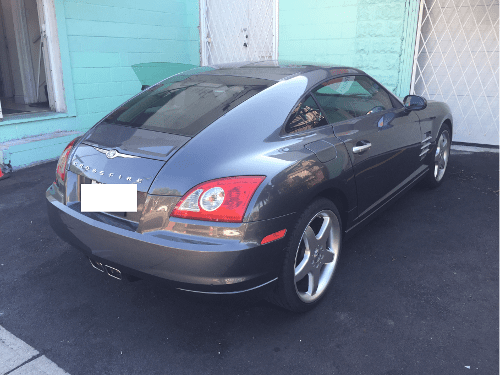 Chrysler Crossfire Ignitions are known to get damaged and can be a costly replacement if done by the dealer. Do you have to wiggle the key and turn the steering wheel to get the cylinder to turn? Does the key sometime get stuck in the cylinder and not come out? These are all signs of damaged Ignition Cylinder or issue related to the steering lock release mechanism. We highly suggest servicing the issue ASAP before it gets worse and can’t turn it anymore. 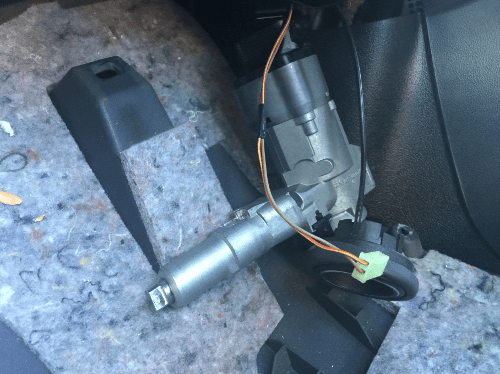 Here is an image of the vehicle and damaged ignition cylinder. Auto Key Pro is your car locksmith in Burlington, Hamilton, Ancaster, Stoney Creek, Oakville, Caledonia, Grimsby, and the surrounding area. We specialize in electronic car keys and car locksmithing. 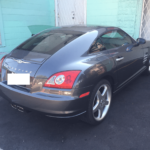 We offer mobile service for lost car keys situations and pop the lock for vehicle unlocks. We also specialize in refurbishing key fobs, cracked shells, keys replacements, remote refurbish, broken keys from shells. In addition, if you have any remotes, Key FOB, remote transmitters, Smart keys, prox/proximity keys electronics that do not work, we have the experts in house that can attempt to repair them. We try out best to save customer money as that’s a win win situation. To visit your local Car Hamilton Locksmith, you can pass by our store at 961 Main St E in Hamilton. Intersection of Main St E and Gage Ave.